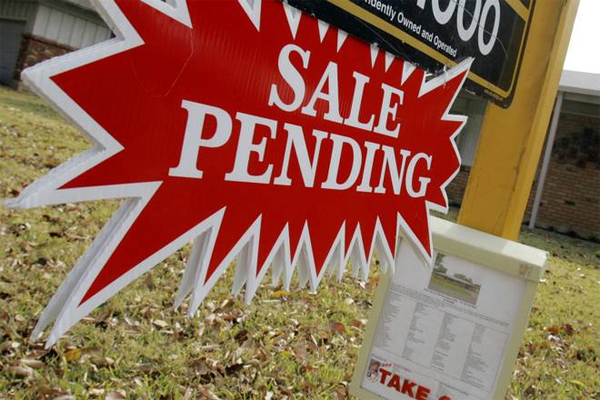 Metro Atlanta home prices may be in for another increase. On the heels of what has been termed an “epic housing crash” of just a few short years ago – when home values dropped nearly 35% – prices are on the rise again. 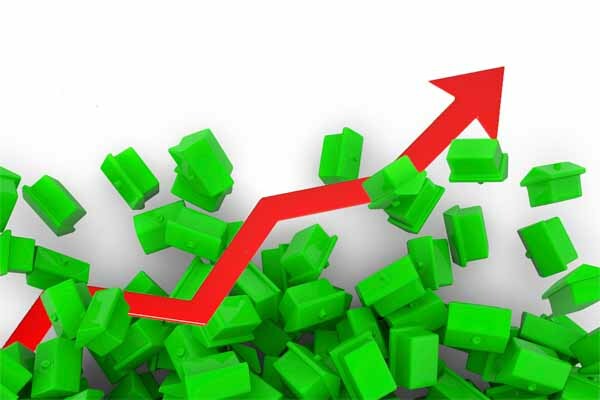 In the past 12-18 months, many hot real estate markets have seen home price increases of as much as 10% or more, and home analysts expect additional new highs may be on the way. Let’s take a look at why prices may rise. According to the National Association of Realtors (NAR), the median price of an existing home sold in May reached a record high of $239,700. The Association has been tracking prices since 1968. The home price increase is good news for homeowners who have their Metro Atlanta homes for sale now or who may be contemplating selling soon. In addition, it means many homeowners just earned a few thousand dollars in additional net worth. For others, the rising Metro Atlanta home prices and the prognosis for further increases is anything but good news. The median price increase in homes for sale means, in part, that there is more activity on the higher end of the real estate market. The median price is defined as the dollar amount where half the homes sold at a lower price and half sold at a higher price. Additional price indexes measure repeat sales of similarly-sized homes show nationwide that prices are still running roughly 10% below the peak levels from ten years ago. Some housing analysts in their market assessment of Metro Atlanta home prices contend the tight inventory available continues to restrict sales and put pressure on pricing. Conversely, near-record low mortgage interest rates and job growth help create greater demand. The result, according to the experts, is a “pressure cooker effect” and the market’s release valve – new home construction – isn’t helping to solve the problem. That point is evidenced by new home sales currently performing more than 40% below normal market levels. According to the Urban Institute, last year over a million new households were created in the U.S., but only 620,000 new housing units were created. That shortage of more than 400,000 units has put an undue strain on both rents and home prices. Analysts say that trend will likely continue in the near future unless there are relatively quick policy changes. Although the housing market has made great strides in its recovery from the crash of less than a decade ago, affordability is the biggest factor restraining a more complete rebound. 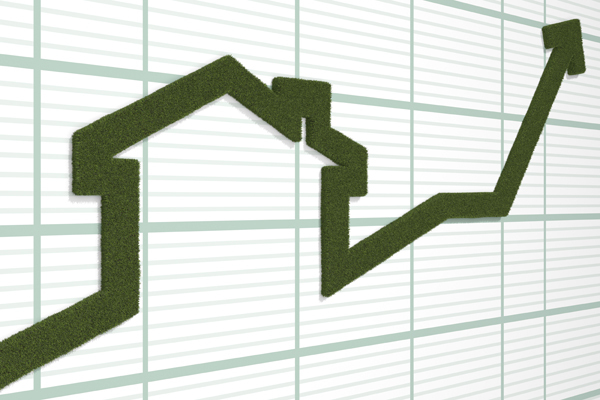 Normally, housing would be the driving force behind overall economic growth, but it’s not. That’s primarily due to less than exciting home construction activity. Most of the construction demand has been fueled by rental demand. But, housing starts for multifamily construction are slowing down. The previous activity was mostly found in urban rental centers where rents were higher than normal and the supply has caught up with or exceeded the demand. While the number of renters still strapped by rising rents continues to grow, the burden of affordable rent payments prevent prospective home buyers from saving for a down payment. Even though the monthly payments on homes for sale may be more affordable than rent, renters who don’t have a down payment are unable to take advantage of that opportunity. So, what does all this mean for the existing and future housing market? We will likely see Metro Atlanta home prices remain fairly high and continue to climb in some markets where sales have been brisk in the past few months. Limited supply meets high demand creating higher prices – it’s a basic economic law of supply and demand. Despite interest rates being at near-record low levels, the lending market is still considered tight by historical measurement standards. Some economists argue, in fact, that low interest rates have actually contributed to higher Metro Atlanta home prices, because home buyers are now able to qualify for larger houses. At least in the foreseeable future, Metro Atlanta home prices will likely continue to see slightly higher listing and selling prices. The first-time homebuyer will probably continue to be unable or unwilling to enter the marketplace. And for a housing market that’s been labeled “recovering,” that’s a worrisome commentary on the real estate economy. What’s worse, as NAR chief economist Yun asked rhetorically, “We are facing housing affordability challenges already with low interest rates, but what happens when the rates begin to rise? See more articles pertaining to homes for sale in the section of articles on Atlanta Homes for Sale just below Atlanta Real Estate Categories in the column to your right. And remember, we also post tips daily on Facebook and Twitter. Metro Atlanta homes for sale are a lot like those in other markets across the country. Searching for a home is a process – and it can be a painstaking one in a competitive real estate market. With fewer houses for sale and more potential buyers than sellers, it's a classic scenario of the law of supply and demand. When the supply is low and the demand is high, the competition heats up. Let's examine ten signs to know you're in a competitive housing market. 1. Cash – as always – is king. 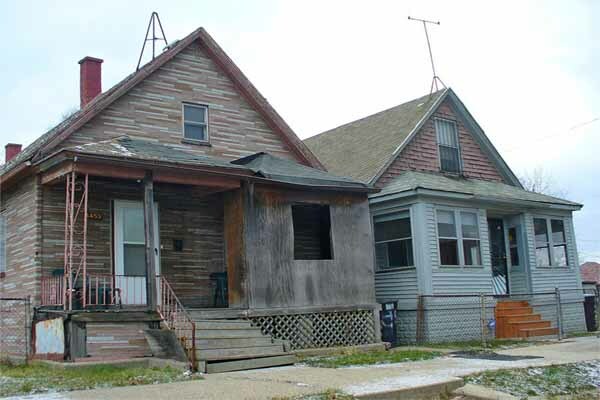 You know you're in a competitive market when there are cash offers made by prospective buyers vying for the same house. 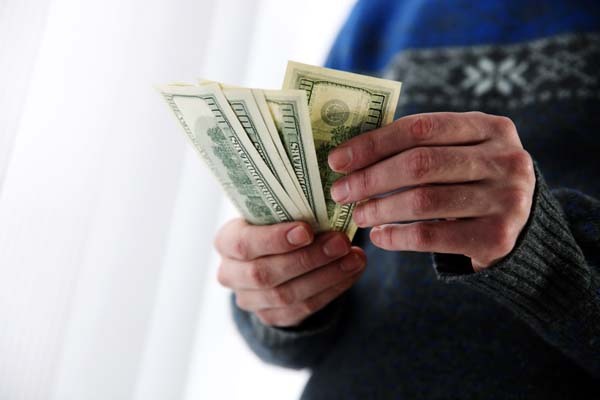 Because cash is so "immediate" and usually contains no "strings" or "red tape," most sellers are more partial to cash offers than those involving a mortgage. Assuming the sales price and resulting offer is the same or fairly close, a cash sale will usually win every time. It's hard to compete with a buyer who's ready to pay cash and forego the time it would take for a loan to be processed and approved. 2. Expect war – a bidding war. When competition is stiff, usually every player brings his "A game." What makes the competition both interesting and stressful are the lengths that prospective buyers go to get what they want. Usually that means outbidding any and all competitors. Most real estate agents agree the Metro Atlanta homes for sale over which bidding wars are waged are those that have a combination of three unique features. Sellers with houses attractively priced, in very good condition and in a great locations are likely to find themselves the beneficiary of multiple offers. Best of all – at least for the sellers – is that each offer is usually surpassed by an even higher offer. 3. If your city is popular, you can expect to pay more. Remember when you were renting? The newest or most popular apartment complex always had a waiting list. That's because its popularity spread and with it the demand for living there increased. Cities and metropolitan areas are similar in that respect. A progressive, popular, "in place" to live usually benefits in a higher-priced housing market. Real estate experts say the keys to look for are where certain industries are locating, since jobs will be created. The growing technology sector is a good example. In cities where that industry has grown, so have the outlying communities and the housing prices. Analysts also recommend looking for trendy retail stores, coffee shops, restaurant chains, niche-market grocery or health food stores and yoga and fitness centers. 4. You start hearing about "escalation clauses." If you're beginning to understand for the first time in your life exactly what an "escalation clause" is, you're probably in a competitive real estate market. A bid you may submit to purchase a home you have your eye on may include an escalation clause. Simply put, it means you're prepared to increase your offer up to a specified maximum in order to outbid other buyers. 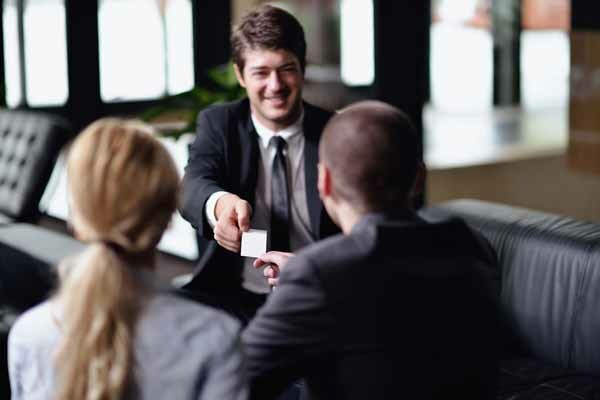 Not only is it a time-saver because you and your agent don't have to go back and forth with the seller, it demonstrates to the seller that you're serious about buying his home and paying whatever it takes – within reason – to be the successful bidder. 5. You may have to go the extra mile. Buying Metro Atlanta homes for sale can be an emotional experience, for sellers too. And included in that emotion are often ideas that accompany offers designed to give buyers an advantage over their competition. A savvy real estate agent can assist you greatly here. Knowing what will motivate a seller or knowing when they want to close or move is one way a buyer can potentially gain an advantage. In addition, playing to a seller's heartstrings sometimes works, too. For example, buyers who write a personal letter outlining why they want to buy the home and raise their children in the neighborhood that was so important to the seller and his family may find themselves closing the deal. 6. If the sales price exceeds the asking price. Again, it's simple supply and demand. If there's greater competition for the same house, not only are there bidding wars and escalation clauses, many times there are offers that are higher than the home's listing price. 7. More than one offer – from a variety of purchasers. Multiple offers are a lot like being in an auction. As soon as one offer is made, another higher offer follows – then others after that! Naturally, that's a telltale sign that you're in a competitive market with Metro Atlanta homes for sale. 8. The cupboards are bare. Ever been to the grocery store when a storm or other weather event is expected? Many of the popular staple foods like bread, milk, or bottled water may be in short supply. Other shoppers have beat you to the punch and bought their selections first. It's the same with a tight real estate market. You may search online for homes in a certain market, only to find they, too, are in short supply. Usually that means the remaining homes on the market are being viewed and visited by a larger number of people – all vying for the same purchasing opportunity. 9. The "ripple effect" in adjacent neighborhoods. In popular neighborhoods, it's not unusual for areas nearby to enjoy the "ripple effect," allowing those neighborhoods to enjoy increased interest and higher sales prices. 10. Deadlines. One of the more popular selling tactics in a competitive market is to set a deadline or cutoff date whereby any and all bids must be submitted. The seller, of course, isn't obligated to accept any of the bids, but usually if there are multiple bids, chances are there's at least one that will be selected. See more articles pertaining to Metro Atlanta homes for sale in the Atlanta Real Estate section of our site below Atlanta Real Estate Categories in the column to your right. As always, you can find information here on a variety of topics ranging from home buying and home selling tips to home improvements, home inspections, mortgage financing, homeowner's insurance and of course, all the latest Metro Atlanta real estate news that affects all of these categories.